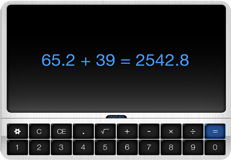 There are dozens of calculators in the App store. But none that have thought through Universal Design. 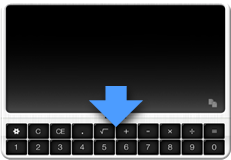 The Panther calculator puts all the numbers and ope a rands at the bottom of the calculator. So they're easier to reach. They're also easier to understand, because they're in the order that numbers usually go. We’ve done something novel. We display math problems the way you think them. And we put them front and center in the screen. Large and powerful. That’s great for simple math. But it’s even better when you start getting into larger and longer equations. Keystroke combinations are hard for people with motor disabilities. 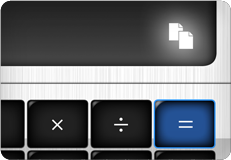 So Panther Calculator lets you copy results with a simple touch of an icon. That means you can do whatever calculations you want, and export the answer into any other text based problem. Panther Calculator puts all the numbers and operands on the bottom. So if you have access difficulties, you’ll have a lot less. Because movements are in a reachable linear space. Putting numbers in the order can also support cognitive learning. 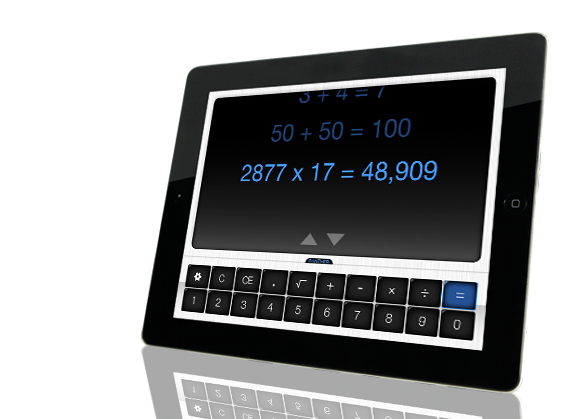 Panther Calculator was designed especially to support individuals with motoric challenges. Hold times help avoid accidental hits. Font color can be soft blue or white. Sounds can be turned off. Panther Calculator looks different than other calculators. Now you know why. Panther Calculator can be used on its own. 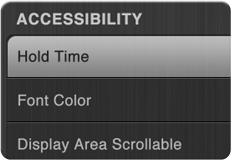 Or use it along with other Panther Apps to support the broadest access possible. Check out the following for some great ideas.